The Southern Poverty Law Center (SPLC) is over-the-line liberal loony-toons organization posing as a civil rights charity who exists by the motto “If you are a conservative you are a racist or some other type of bigot. One target of the SPLC has had enough. The Federation for American Immigration Reform, known as FAIR, has filed a formal legal complaint with the IRS claiming that the SPLC was engaging in political activity as opposed to the educational activity allowed per the 501(C)(3) tax exemption rules(complaint embedded below). According to the complaint, the SPLC violated its non-profit tax status nearly 50 times during the 2016 presidential election cycle. As a 501(C) (3) the SPLC is allowed to advocate for particular issue, but advocating for or against particular candidates is not allowed. The advocacy has to be more than, “that position on an issue is screwed up” an organization has to educate about the issue. A significant portion of the group’s communications consists of the presentation of viewpoints or positions that are unsupported by facts. Facts that purport to support the viewpoints or positions are distorted. The group’s presentations make substantial use of inflammatory and disparaging terms and express conclusions based more on strong emotional feelings rather than objective evaluation. The presentation’s approach is not aimed at developing the audience’s understanding of the subject matter because it does not consider their background or training. 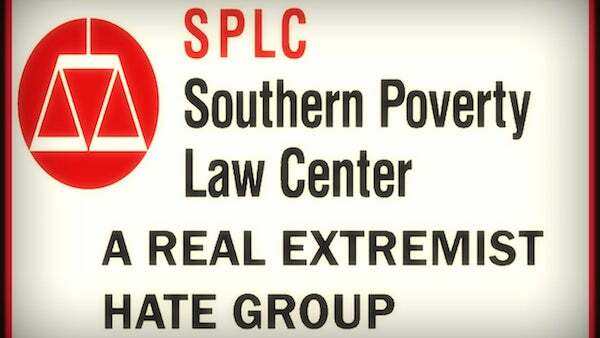 “The SPLC went way over the line in this last election. It publicly engaged in deep, deliberate, and unlawful participation during the 2016 presidential election cycle, flagrantly violating its non-profit tax status,” alleges FAIR President Dan Stein. “The IRS should investigate all of these instances, and take appropriate steps to either sanction and fine the SPLC, or remove its tax-exempt status as a public charity. We are alleging – via meticulously detailed documented evidence – that it repeatedly engaged in widespread, illegal electioneering in 2015 and 2016,” he said. Stein noted the SPLC used its website and homepage to overtly try to directly discredit Donald Trump’s presidential campaign, alleging in instance after instance that Trump was unworthy of voter support. The SPLC used its tried and true formula of opinion-based smears and innuendos – tactics that it claims shield it from liability suits – to engage in blatant political activity masquerading as “teaching tolerance.” The complaint reiterates that “smear[ing] by association” is a “primary technique” of the SPLC and, in this case, one clearly and obviously intended to sway public opinion against candidate Trump and other campaigns. FAIR also points out that the SPLC accused the then-candidate Trump of: “horrif[ying] Latinos, immigrants, and millions of others,” “inject[ing] real hate into the electoral contest” and “ratchet[ing] up” hatred against Muslims in particular. These and other communications documented in the complaint clearly lacked any educational and public-interest value and instead were part of an overt, ongoing, orchestrated effort to sway voters in their voting preferences. On July 6, 2016, the SPLC Intelligence Report featured a lengthy thirteen-page “report” by SPLC staff member Stephen Piggott, titled, “Hate in the Race,” and subtitled, “A remarkable level of vitriol has characterized the Republican contest for president.” The article contained at least 41 distinct unlawful and highly negative statements attacking then-Republican Party candidate and nominee Donald Trump or his campaign staff and supporters, and fourteen similar distinct unlawful statements attacking former Republican Party candidate Ted Cruz. On May 11, 2016, a Hatewatch project article titled, “Donald Trump’s Continuing White Nationalist Problem,” by SPLC staff member Stephen Piggott, linked Donald Trump to what the SPLC styles “white nationalists.” The term is not defined, but it is intended to discredit Mr. Trump as a presidential candidate. FAIR should be commended (and if one can afford it, donated to) as the SPLC an organization that hates anything conservative. Any time the liberal media want to disparage the right side of the political spectrum, they call on a pool of go-to guys and gals to make their case for them. It’s not news reporting; it’s ideological position marketing designed to destroy the competition and one of their go-to groups is the anti-anything to the right of Ted Kennedy group the Southern Poverty Law Center (SPLC). They are not educational as a 501(C)(3) is supposed to be, they are a hate conservatives group.